Meet your guide at the hotel lobby to start the tour. 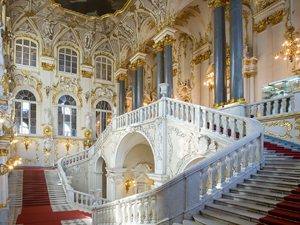 Hermitage museum is undoubtedly the largest museum in the world that was established in 1895 and became a real jewel of St. Petersburg. 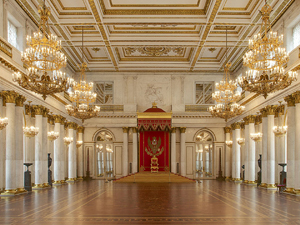 Most of the showpieces are located within the Winter Palace that was once the main residence of the Russian monarchs. The legendary collection of fine arts started by Catherine the Great represents the most important stages in the history of art in more than 350 magnificent rooms (from ancient times until the early 20th century). 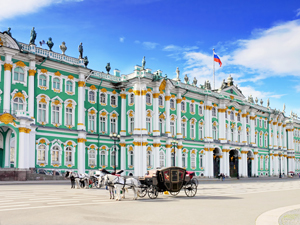 Now the Hermitage museum contains more than three million works of art including da Vinci, Titian, Rembrandt, Cezanne, Monet, van Gogh, Durer, Picasso and many more. Transfer back to the hotel. The Hermitage tour is not available on Mondays.